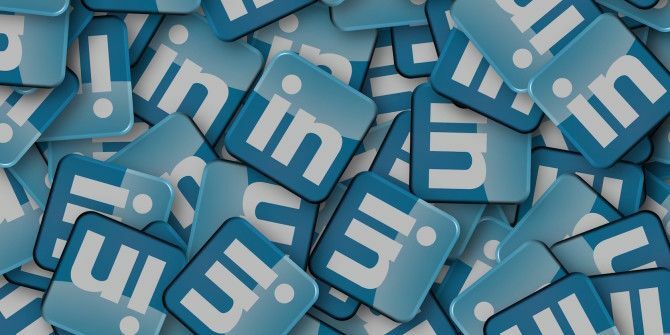 Being aware of LinkedIn’s lesser-known features 11 LinkedIn Features You Aren't Using (But Should Be) 11 LinkedIn Features You Aren't Using (But Should Be) LinkedIn has a number useful features and tricks, some of which were very well hidden. Taken together, they can help make the network a tool for far more than just job-hunting. Read More can help you maintain utmost professionalism on the social networking platform, but what about your privacy? An important bit of personal data to keep close to your chest is your email address. Did you know that LinkedIn gives you four ways to control the visibility of your email address? By default, only your first-degree connections can see your email address. Apart from this, there are three other settings you can choose to increase or decrease your privacy. Let’s see how you can choose who can see the email address on your profile. Log into LinkedIn from your desktop. You can also use the mobile apps. Click on the little down arrow below your profile picture. Then, choose Settings & Privacy. Click on the Change option for Who can see your email address. As you can see, four options are offered to you. Select one of the options to control the visibility of your email address. Only you will hide your email address from everyone. 1st-degree connections will allow only your direct connections to view your email address (this is the default setting). 1st and 2nd-degree connections will allow your direct connections, and also their direct connections to see your email address. Everyone on LinkedIn allows everyone on LinkedIn to view your email address. Remember, beyond this setting, your email address is also visible to people who are your email contacts. So, if you like to maintain some degree of privacy (or open it up for greater networking), then this is one setting you can change immediately. Explore more about: LinkedIn, Online Privacy. I am researching this topic because I was away this past weekend on vacation at a little cabin in the middle of no where and my boyfriend and I went to the grocery store and purchased ingredients to make cupcakes & we bought icing to frost them. He used his card to pay and never once did I google or even take a picture of the item. And this morning I see on my Pinterest an ad for the exact product, now I understand if I googled about the product how they would know but I never posted anything & I didn’t even purchase it!!! How did they know?! ?